I’ve been thinking about the Sports Illustrated Sportsperson of the Year (SOY). The list of twelve nominees is here. Sports Illustrated will make its announcement on Tuesday, December 14th, 2015. For now, celebrated sports figures and writers are courting us with pitches on their favorite nominees. I only follow one sport, thus the name of this blog (soleytennistravels), so I know the two tennis nominees, Novak Djokovic and Serena Williams fairly well. I have read most of the pitches on both and for me there really isn’t even a contest for the tennis nominees; it’s not close at all. 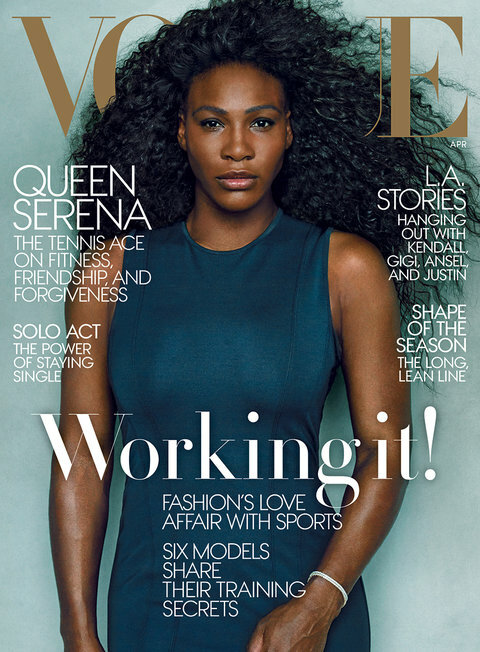 Serena Williams is the clear frontrunner for tennis. Can she beat out all other athletes, including the horse, American Pharoah? I’d be very surprised because tennis rates fairly low on US sports radar. It’s on a par with the 1% of votes that Djokovic and Williams have each secured in the online poll. At the time of this writing, the horse held the lead with a whopping 47% of online fan votes! I couldn’t tell you who was the Sportsperson of 2014, but I’m almost certain it’s someone from the American trifecta of sports: baseball, basketball, or footfall. For perspective, the last non-trifecta wins since 2000 were Tiger Woods, Lance Armstrong, and Michael Phelps; they transcended their sport. I think my own mom could identify them if pressed to do so. Why does tennis think it has a chance this year and why do I find myself drawn into the conversation? One of the most appealing things about sport is the presence of a clear winner and a loser. So, folks who win populate our list of sportsperson nominees. They win a lot; win at significant events for their sport; or win after a long bout of losing. It’s the whole point of sport isn’t it? We celebrate those who reach the pinnacle of their sport and tag them Sportsperson of the Year, i.e., you are the best at winning this year. Yet, one of the compelling ideas in tennis is that most players lose more than they ever win. Strangely enough, in 2015, the tennis athlete who captured the public’s imagination and transcended the sport for significant moments through the year did so with some spectacular losses. 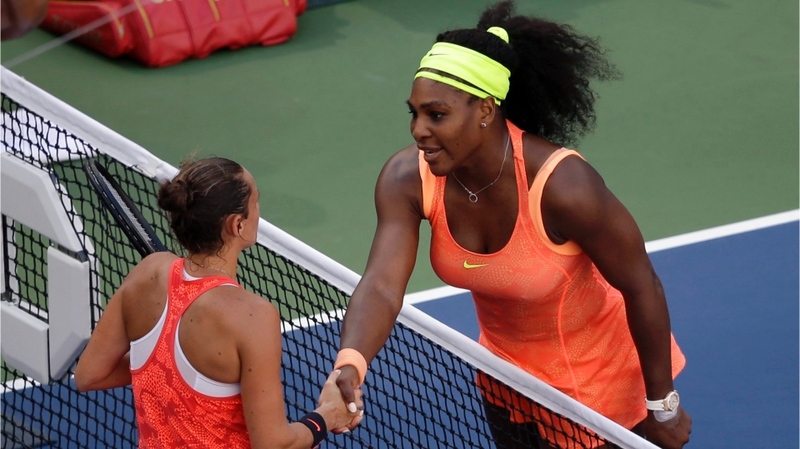 Does Williams 2015 resume rival Djokovic’s in terms of wins to losses? Probably not. However, was her name on most people’s lips in the lead-up to the US Open? Definitely. Did she raise the profile of her sport in her quest to capture all four majors in one calendar year? You bet. Does it matter that in the end she failed to capture the calendar grand slam? I don’t think so. Djokovic didn’t do that either, so they are a draw in that capacity. The singular reason Djokovic’s year seems to be rated higher in tennis punditry is because of how their respective years ended. Djokovic lost his only major in the middle of his tennis year and he spent the remainder the year winning, so the sting of that loss somehow seems less relevant when we compare it to Williams who ended her tennis year on a loss at the US Open and closed down the rest of the year. Williams robbed us of the triumphant narrative of sport. Considering that losses are just as much a part of tennis, more so than winning, why should her stinging loss mar what was the most compelling storyline in tennis and possibly all of sport in 2015? Djokovic’s year was spectacular in its singularity, its all-encompassing winning. However, what many fail to tell you is that very few people actually cared about his feat. Somehow as tremendously impressive as his winning all year has been, Djokovic has been under the radar. I’m not going to rehash, as many others have done all year, why Djokovic hasn’t shifted the barometer for tennis and more importantly for the casual sports fan. I’m not interested. What I’m suggesting is that for this year and maybe only this year, tennis’s most compelling figure was a nominee who lost a match everyone thought was hers for the taking. It stopped her from making tennis history, but it didn’t stop her from capturing the public’s gaze and imagination. It’s for that reason that Serena Williams is my tennis pick for Sportsperson of the Year. Of course, if Serena Williams had won the US Open there would probably be no question of who deserves to be Sportsperson of the Year. She would have achieved a feat that hasn’t been done in tennis since 1988. Her winning-ness would be obvious. In terms of tennis, I happen to believe she was its winner this year.